I have two children; one girl, Hailey, and one boy, Matthew. Since graduating CDO in '89 I have worked various jobs. In 1998 I graduated from from NAU with a Bachelors degree in Elementary Education. I graduated from National University in 2002 with a Masters degree in Education. I currently work as a fourth grade teacher near Sacramento, California and enjoy frequent day trips with my wife and children to Lake Tahoe, Napa, and the Bay Area. I don't have a great memory anymore, but what I can recall about CDO in the 80's is very good. My favorite classes were debate class, English, and math class with the really old lady teacher with snakes and hubcaps. Phillip Nelson has a birthday today. 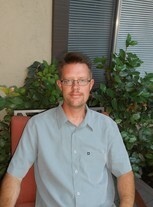 Phillip Nelson updated profile. View. Phillip Nelson changed profile picture. Hanging out at Elk Grove Park.